Would you like to know how we established our Community Garden? Read our old Meeting Notes from 2009 to the present. Also view our Pictorial History. Jan 16, 2014 notes – We held a Vision Meeting with a lively discussion of our future needs and priorities. May 8, 2013 notes – This was our last general meeting before the Park and community garden officially open. We explained our organization and the water system. Nov 11, 2011 notes – 62 plots are now reserved. Stacy Spriggs is hired by county. We’ve chosen solar energy for the water system. We have assets of over $24K. We expect to be in the garden by March 2012. Feb 22, 2011 notes – We have 53 plots reserved! Our three Leaders, Catherine, Leila, and Marcia, are assisted by Gisela (Membership), Sara (Founders Brick project), Jim (Design). Jim described our underground water delivery system. Marcia is selling quilt raffle tickets. The park is now expected to open in the Fall of 2011. Oct 28, 2010 notes – We warmly thanked the Culverhouses for digging our well, Rick Barth is taking gardeners to park for site visits, we won a $10,000 matching Neighborhood Grant in Oct, we began accepting membership fees in July when the County Commissioners approved the park plans, including our garden. 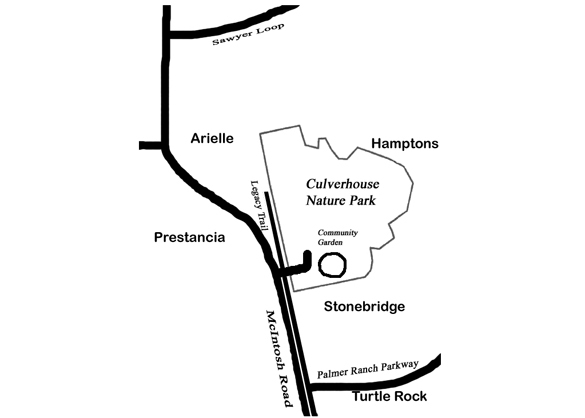 May 25, 2010 notes – We had a garden workshop led by Dr. Kluson, updated members about the Neighborhood Meeting on Apr 1, made decisions about garden fees, set out our water research projects, and said we now think park will open in Dec 2010. Dec 1, 2009 notes – We have 24 members, we are now a chapter of FOSCP, Marcia is our Treasurer, a promotion committee is active, we expect the garden to open around May 2010. Nov 3, 2009 notes – Jim presented his circular design to our wild applause. Next, deed has to transfer, and county has to build right-in-right-out entrance and lay a permeable surface for a small parking lot. 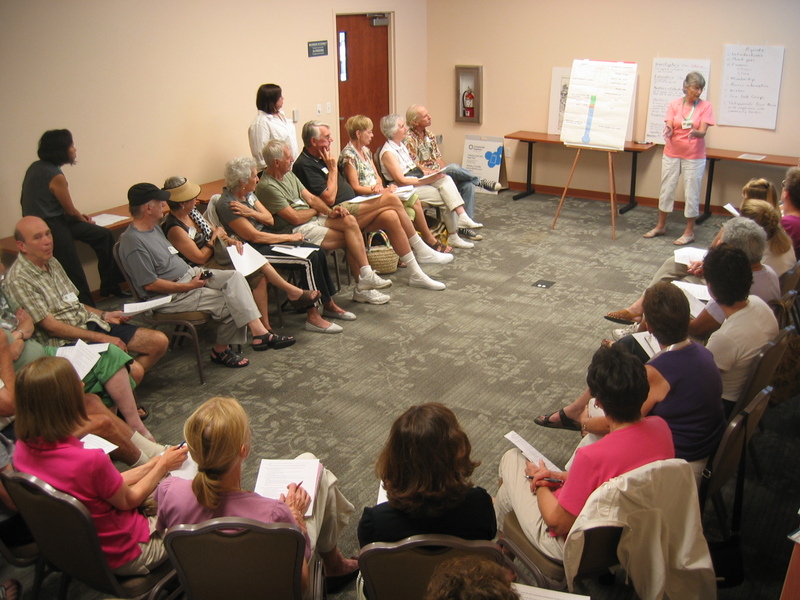 Sept 29, 2009 notes – We set up committees to work on design, fees, water, promotion, bylaws, etc. Aug 24, 2009 notes – We garnered support from local HOAs, Ext. Staff, PR Coalition, and potential gardeners. *** Marcia Freeman was presented with a recognition award on April 1, 2015 for the many, many hours she volunteers as manager of Culverhouse Community Garden. The Sarasota County Commissioners gave her the award. *** Several people nominated our community garden for a prestigious Keep Sarasota County Beautiful Award in 2014. We won a land preservation award!